A few of the recent items from my sketchbook work. 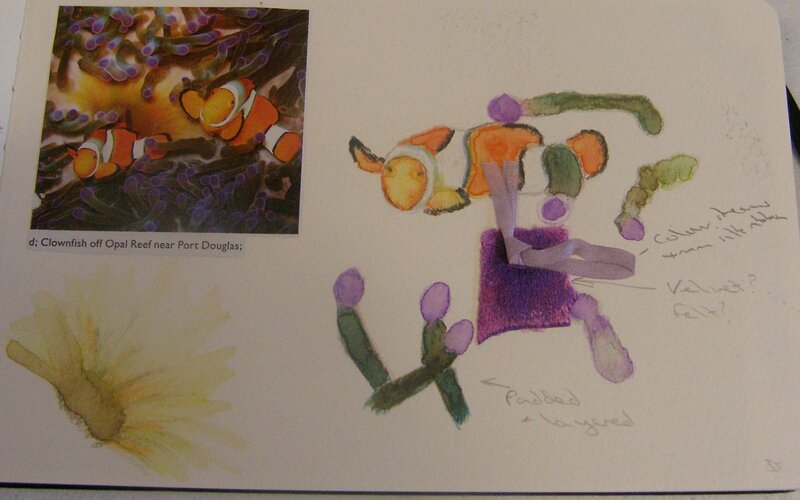 Firstly a few parts from a magazine picture of Clownfish in a reef. Wonderful velvety textures in the reef and very dense colours. I like the contrast between the orange/white fish and the purple/green of the reef. 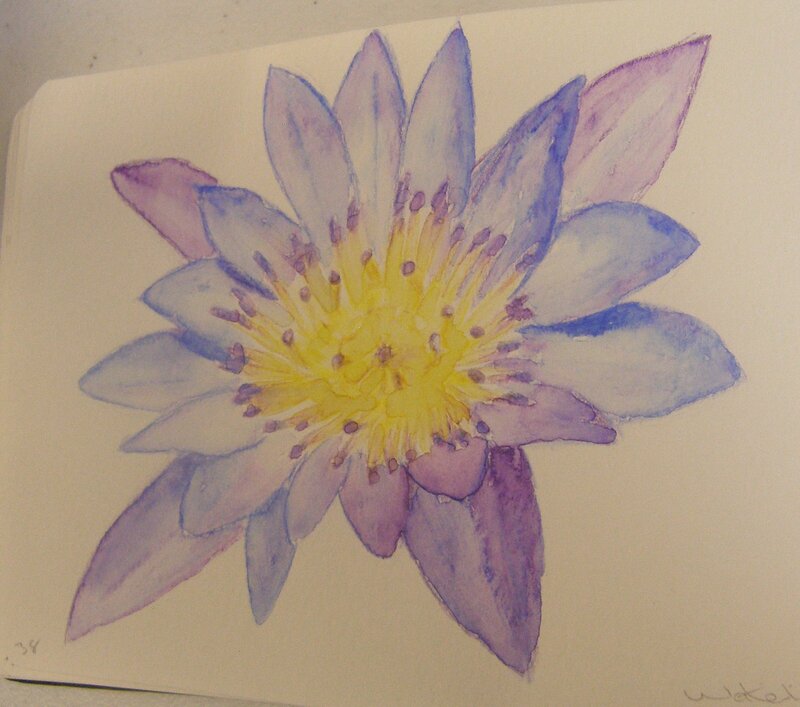 Watercolour of a lily in my garden pond. Again a really nice contrast between the purple/blue and the yellow centre. This next sketch and its developments I am pleased with. The sketch started (in an aeroplane!) with the images of sections of wing from Monarch butterflies featured in the in-flight magazine. 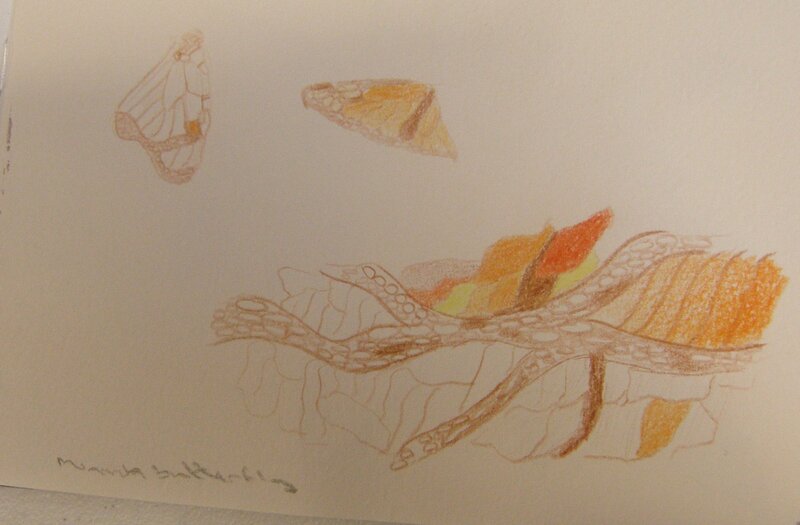 I doodled this further into a rocky river bed shape with the bands of colour coming into it as they do in the wings. At home, I further developed this design by taking the original drawing of the underside of the wing and photocopying it multiple times. I cut out the copies and played around with their layout. The wing shape forms a nice circle but also, when positioned randomly and overlapping produces an interesting design with more vitality to it. I think this design (coloured) would make a good overall print for a piece of clothing. I also used the wing shape as the basis for a costume design, overlapping segments for an asymmetrical skirt and then creating a bodice shape to match. 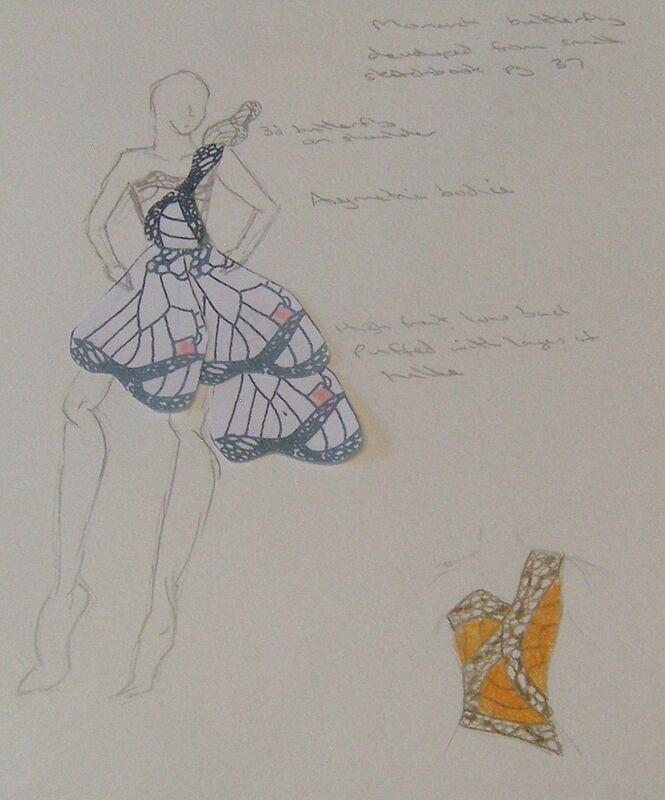 The shoulder decoration would be 3 dimensional wired butterfly wings and carries the line of the darker butterfly colouring up across the body to where it is about to fly off. Definitely a flight of fancy!